Bewildered by the variety of sugar substitutes available these days? Understand the pros and cons to make an informed choice. Today artificial sweeteners and other sugar substitutes are found in a variety of food and beverages; they’re marketed as “sugar-free” or “diet,” including soft drinks, chewing gum, jellies, baked goods, candy, fruit juice, and ice cream and yogurt. Just what are all these sweeteners? And what’s their role in your diet? Sugar substitutes are loosely considered any sweetener that you use instead of regular table sugar (sucrose). Artificial sweeteners are just one type of sugar substitute. The chart lists some popular sugar substitutes and how they’re commonly categorized. The topic of sugar substitutes can be confusing. One problem is that the terminology is often open to interpretation. For instance, some manufacturers call their sweeteners “natural” even though they’re processed or refined, as is the case with stevia preparations. And some artificial sweeteners are derived from naturally occurring substances — sucralose comes from sugar, for example. Regardless of how they’re classified, sugar substitutes aren’t magic bullets for weight loss. Take a closer look. Artificial sweeteners are synthetic sugar substitutes, but may be derived from naturally occurring substances, including herbs or sugar itself. Artificial sweeteners are also known as intense sweeteners because they are many times sweeter than regular sugar. Artificial sweeteners are attractive alternatives to sugar because they add virtually no calories to your diet. In addition, you need only a fraction compared with the amount of sugar you would normally use for sweetness. 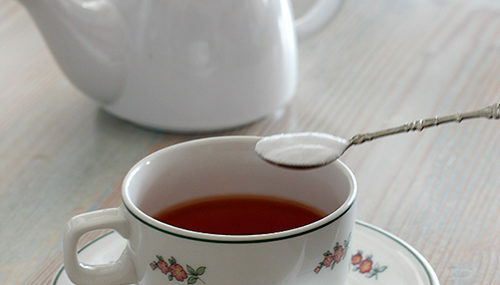 Artificial sweeteners are also popular for home use. Some can even be used in baking or cooking. Certain recipes may need modification, though, because artificial sweeteners provide no bulk or volume, as does sugar. Check the labels on artificial sweeteners for appropriate home use. Some artificial sweeteners may leave an aftertaste. Try different artificial sweeteners to find one or a combination that you enjoy. Weight control. One of the most appealing aspects of artificial sweeteners is that they are non-nutritive — they have virtually no calories. In contrast, each gram of regular table sugar contains 4 calories. A teaspoon of sugar is about 4 grams. For perspective, consider that one 12-ounce can of a sweetened cola contains 10 teaspoons of added sugar, or about 150 calories. If you’re trying to lose weight or prevent weight gain, products sweetened with artificial sweeteners, rather than with higher calorie table sugar, may be an attractive option. On the other hand, some research has suggested that consuming artificial sweeteners may be associated with increased weight, but the cause is not yet known. Diabetes. Artificial sweeteners may be a good alternative to sugar if you have diabetes. Unlike sugar, artificial sweeteners generally don’t raise blood sugar levels because they are not carbohydrates. But because of concerns about how sugar substitutes are labeled and categorized, always check with your doctor or dietitian about using any sugar substitutes if you have diabetes. Artificial sweeteners have been scrutinized intensely for decades. Critics of artificial sweeteners say that they cause a variety of health problems, including cancer. That’s largely because of studies dating to the 1970s that linked saccharin to bladder cancer in laboratory rats. Because of those studies, saccharin once carried a warning label that it may be hazardous to your health. But according to the National Cancer Institute and other health agencies, there’s no sound scientific evidence that any of the artificial sweeteners approved for use in the U.S. cause cancer or other serious health problems. And numerous research studies confirm that artificial sweeteners are generally safe in limited quantities, even for pregnant women. As a result of the newer studies, the warning label for saccharin was dropped. In some cases, the FDA declares a substance “generally recognized as safe” (GRAS). 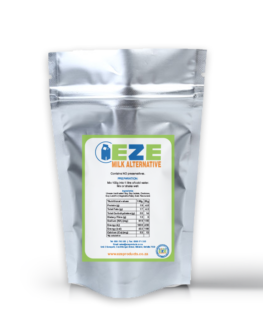 These GRAS substances, including highly refined stevia preparations, are deemed by qualified professionals based on scientific data as being safe for their intended use, or they have such a lengthy history of common use in food that they’re considered generally safe and don’t require FDA approval before sale. Sugar alcohols (polyols) are carbohydrates that occur naturally in certain fruits and vegetables, but they also can be manufactured. They’re not considered intense sweeteners, because they aren’t sweeter than sugar. In fact, some are less sweet than sugar. As with artificial sweeteners, the FDA regulates the use of sugar alcohols. Sugar alcohols aren’t considered noncaloric or non-nutritive sweeteners because they contain calories. But they’re lower in calories than is regular sugar, making them an attractive alternative. Despite their name, sugar alcohols aren’t alcoholic. They don’t contain ethanol, which is found in alcoholic beverages. Novel sweeteners are combinations of various types of sweeteners. Novel sweeteners, such as stevia, are hard to fit into one particular category because of what they’re made from and how they’re made. 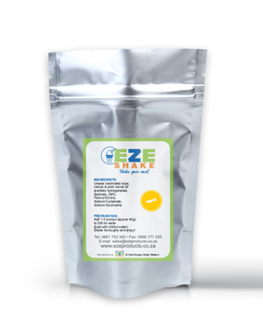 Note that although the FDA has approved highly refined stevia preparations as a novel sweetener, it has not approved whole-leaf stevia or crude stevia extracts for this use. Tagatose and trehalose are considered novel sweeteners because of their chemical structure. The FDA categorizes them as GRAS substances. Tagatose is a low-carbohydrate sweetener similar to fructose that occurs naturally, but is also manufactured from lactose in dairy products. Trehalose is found naturally in honey and mushrooms. Sugar alcohols generally aren’t used when you prepare food at home. Rather, they are found in many processed foods and other products, including chocolate, candy, frozen desserts, chewing gum, toothpaste, mouthwash, baked goods and fruit spreads, usually replacing sugar on an equal basis. When added to foods, sugar alcohols add sweetness, bulk and texture. They also help food stay moist, prevent browning when heated and add a cooling sensation to products. Weight control. Sugar alcohols are considered nutritive sweeteners because they contribute calories to your diet. Still, sugar alcohols have fewer calories than does regular sugar — about 2 calories per gram on average. This means that sugar alcohols can be considered lower calorie sweeteners, and they may aid weight-control efforts. Diabetes. Unlike artificial sweeteners, sugar alcohols can raise blood sugar levels because they’re carbohydrates. But because your body doesn’t completely absorb sugar alcohols, their effect on blood sugar is less than that of other sugars. Different sugar alcohols can affect blood sugar differently. You can consume sugar alcohols if you have diabetes, but you still must pay attention to the total amount of carbohydrates in your meals and snacks. Talk to your doctor or dietitian for guidance. As with artificial sweeteners, the FDA regulates sugar alcohols as food additives. Sugar alcohols used in U.S. manufactured food generally have GRAS status. There are few health concerns associated with sugar alcohols. When eaten in large amounts, usually more than 50 grams, but sometimes as little as 10 grams, sugar alcohols can have a laxative effect, causing bloating, intestinal gas and diarrhea. Product labels may carry a warning about this potential laxative effect. 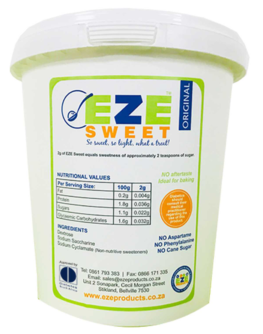 Natural sweeteners are sugar substitutes that are often promoted as healthier options than processed table sugar or other sugar substitutes. But even these so-called natural sweeteners often undergo processing and refining, including agave nectar. Among the natural sweeteners that the FDA recognizes as being generally safe for consumption are fruit juices and nectars, honey, molasses, and maple syrup. Natural sweeteners have a variety of uses both at home and in processed foods. They are sometimes known as added sugars because they’re added to foods during processing. They may be used, for example, in tea and cocktails to sweeten drinks, in desserts, as pancake and waffle toppings, on cereals, and for baking. Although natural sugar substitutes may seem healthier than processed table sugar, their vitamin and mineral content isn’t significantly different from that of sugar. Honey and sugar, for instance, are nutritionally similar, and both end up in your body as glucose and fructose. Choose a natural sweetener based on how it tastes and its uses, rather than on its health claims, and use it sparingly. So-called natural sweeteners are generally safe. But there’s no health advantage to consuming any type of added sugar. And consuming too much added sugar, even natural sweeteners, can lead to health problems, such as tooth decay, poor nutrition, weight gain and increased triglycerides. Also, be aware that honey can contain small amounts of bacterial spores that can produce botulism toxin. Because of that, honey shouldn’t be given to children younger than than 1 year old. When choosing sugar substitutes, it pays to be a savvy consumer. Get informed and look beyond the hype. While artificial sweeteners and sugar substitutes may help with weight management, they aren’t a magic bullet and should be used only in moderation. If you use sugar substitutes to save calories, be careful not to eat higher calorie foods as a reward for the calories you saved. Just because a food is marketed as sugar-free doesn’t mean it’s free of calories. If you eat too many sugar-free foods, you can still gain weight if they have other ingredients that contain calories. And remember that processed foods, which often contain sugar substitutes, generally don’t offer the same health benefits as do whole foods, such as fruits and vegetables.